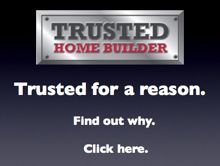 Building your luxury custom dream home has never been easier! Including Marietta, Powder Springs, Acworth, Kennesaw, Smyrna, Austell and Mableton. Interstate 75 divides Cobb County into two parts, West Cobb and East Cobb. Marietta, is West Cobb's largest city, and the area also includes the cities of Acworth, Kennesaw, Mableton, Powder Springs, and Smyrna. West Cobb is bordered by Paulding on the west, Bartow and Cherokee to the north, East Cobb to the east and Douglas and South Fulton to the south. West Cobb is the home of the massive Lockheed Martin aircraft plant where the C-130 Hercules is being built by more than 7,000 employees. Kennesaw State University is in West Cobb with a current enrollment of more than 32,000 students. By contrast, Lake Allatoona, one of the U.S. Army Corps of Engineers most frequently visited lakes in the nation, is at the northern edge of West Cobb. Kennesaw Mountain National Battlefield Park, with nearly 3,000 acres, is a great place to hike, find scenic views of Atlanta and to learn about the Civil War. Great shopping can be found throughout West Cobb from Towne Center Mall and Cumberland Mall to open-air, pedestrian-friendly shopping at The Avenue West Cobb. New home prices in West Cobb cover everything from entry level homes in the high $100's to golf course community homes selling in the millions. In West Cobb you can find rows of townhomes, single family homes on large lots, close-in single family homes on urban-sized small lots, and homes in Active Adult/55+ communities. 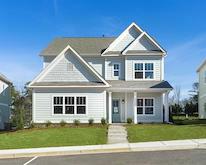 Whether you want a new home close-in, near the historic Marietta Square, or a trendy new home in Smyrna/Vinings, a home at the foot of Kennesaw Mountain or a home with plenty of room for your kids - whatever you are looking for, you're almost sure to find a new home for sale somewhere in West Cobb County. 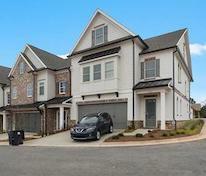 Currently there are 83 communities actively selling new homes in West Cobb covering all price ranges. Because of the size of West Cobb, land prices range from relatively inexpensive in the western-most side of the county to land prices which result in homes priced well over $500,000 in the most desirable and close-in locations. Generally, however, new home prices in West Cobb are relatively affordable as compared to East Cobb, North Fulton and Inside I-285. Most of metro Atlanta's most prominent builders are actively building in West Cobb and these include Lennar, Kerley Family Homes, Traton Homes, Patrick Malloy Communities, Rocklyn Homes, FrontDoor Communities, Taylor Morrison, Ashton Woods Homes, John Wieland Homes & Neighborhoods, Brock Built, Meritage Homes, plus many other new home builders. 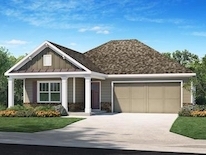 Thank you for choosing AtlantaCOMMUNITIES.com as your #1 source for new homes in West Cobb County. Join our mailing list to keep up to date on all new home development in West Cobb County, or the Atlanta Metro Area as a whole, by clicking here.